What is property maintenance and why do I need it? Water saving devices to reduce your water usage. STO Property Maintenance Group offer concreting services in Brisbane, Byron Bay, the Gold Coast, the Sunshine Coast and anywhere in between. STO Property Maintenance Group use fully qualified tradesmen to complete every job and we have many years of experience in the industry. We offer professional efficient services from basic water proofing to more complicated concreting jobs and everything in between. 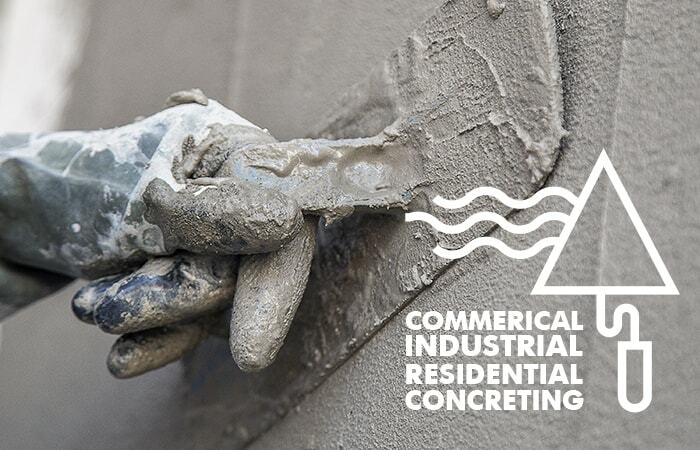 We offer the best concreting services and concreters in Brisbane, so if you have any kind of job that requires concrete, give us a call today. STO Property Maintenance Group also offer concrete renovation services, so if your concrete paving or driveway is looking cracked and old, why not do a facelift? We offer durable and versatile concrete applications for any home or business that stand the test of time and are aesthetically pleasing. You can select from a great range of colours and textures that allow your driveway or walkways to blend in with the appearance of your home. Whatever your concreting needs, STO Property Maintenance Group can service them. If you have a concreting job, you will need to consider the price of the concrete. Sometimes it is tempting to go for the cheapest option, however this is sometimes not the best idea. STO Property Maintenance Group shop around for the best concrete prices in Brisbane and south east Queensland, while ensuring that the concrete is of a high standard. Repairs to concrete slabs are very expensive, and often you will need to remove and re do the concrete entirely. That is why it is imperative to do your concreting right the first time. We at STO Property Maintenance Group take pride in our work and always do your concreting job right the first time. We only ever use experienced professionals for our concreting services and ensure that we comply with the recommended Australian concreting standards. You can rest assured knowing that we will do the best possible concreting job at competitive prices. If you require or are thinking about a concreting job, get in touch with STO Property Maintenance Group today; our expert team can give you advice on the right concrete product for your intended application and carry out the job from beginning to end.